She came, she saw, she conquered the sceptics. 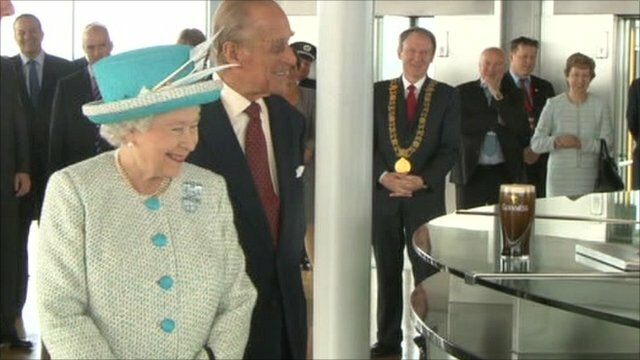 The Queen won over the Dublin doubters who thought the four-day trip to Ireland would simply be an extravagant, expensive tour by an archaic, arrogant monarch. Irish eyes were smiling the minute she stepped off the plane wearing green. Suddenly, the mundane monarch became the emerald Queen. Then came the laying of a wreath at Ireland's Garden of Remembrance for the 1916 rebels. To cap it all, she began her keynote speech at Dublin Castle by speaking in Irish. "Wow, wow, wow," said the Irish President Mary McAleese in between large intakes of breath. Unlike the rest of the visit, the use of the native Irish language had not been scripted. It was not in the copy of the speech handed out to the media. Was this because it was only a last-minute decision by the Queen? Or did she want to keep it secret for maximum impact? We will probably never know. The front-page headline in the Irish Examiner newspaper the next day read like the title of a new movie - The Queen's Speech. Inside, the editorial page condemned the 100 violent protesters who tried to disrupt the royal visit. "The violent protests have been attracting international publicity and fuelling those who like to stereotype us as backward Paddies protesting about grievances of a bygone age. "Our economy is in deep trouble and we need all the international understanding we can get," stated the editorial. For many in Ireland, modern economics is now more important than old politics. As the Nobel Peace Prize winner John Hume used to say "you can't eat a flag". The United Kingdom is Ireland's biggest trading partner and good political relations make good business sense. At the same time, it would be foolish to think British-Irish relations are now perfect. 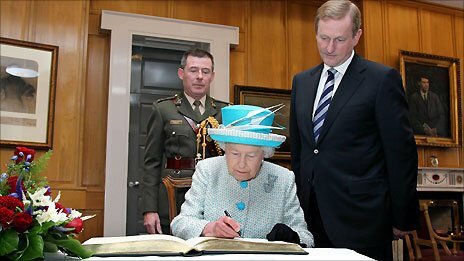 It would also be naive to believe that the Queen's visit was universally popular in Ireland. For some, normal state-to-state relations can only take place once Northern Ireland is handed back to the rest of Ireland. That is not just the view of violent dissident republicans; it is the view of Sinn Fein, and with 14 out of 166 members of parliament, they are the fourth largest party in the Republic. There is no evidence that the Queen's gestures of goodwill towards Ireland and expressions of regret about aspects of the past, changed the minds of republican hardliners. However, talking to people on the streets of Dublin and listening to radio phone-in programmes it was very clear that she wooed the undecideds. Many of those who were indifferent about the visit on Tuesday had moved from neutral to positive by Thursday. Just look at Twitter. The feedback was not all positive. There were complaints about the huge traffic disruption caused in Dublin city centre, eyebrows were raised at the 13m euro (£11.5m) security bill and there was genuine disappointment that the Queen did not do more walkabouts and meet ordinary Irish people. It is also worth recording the fury of every photographer on Fleet Street when Her Majesty stayed well clear of the perfectly-poured pint of the black stuff at the Guinness brewery. Even the Duke did not get his lips wet, never mind don a creamy moustache. What cheered up the photographers was the chemistry between the Queen and President McAleese. There was genuine warmth between them and it shone through the lens. It is often argued that the problems between Britain and Ireland stem from the fact that the British know too little about their history and that the Irish know too much. That cannot be said of the two heads of state. By steering their way so expertly through the political minefields of recent days, they created a landmark moment in the peace process. 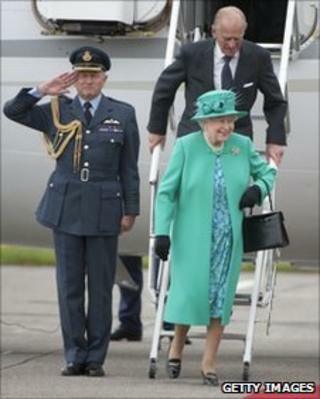 For many people, the sight of the 85-year-old Queen, dressed in green, tentatively stepping off the plane in Dublin will live long in the memory. One small step for ma'am, one giant leap for British-Irish relations.